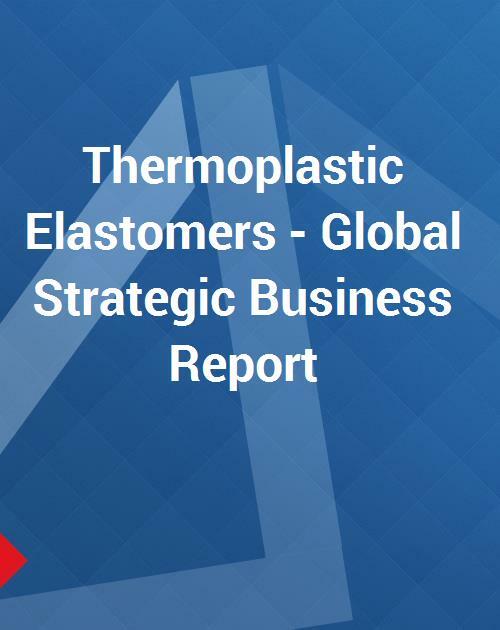 This report analyzes the worldwide markets for Thermoplastic Elastomers in Thousands of Tons. The specific product segments analyzed are Styrenic Block Copolymers, Thermoplastic Polyolefins, and Thermoplastic Vulcanizates. The report provides separate comprehensive analytics for the US, Canada, Japan, Europe, Asia-Pacific (excluding Japan), and Rest of World. Annual forecasts are provided for each region and product segment for the period of 2001 through 2010. A ten-year historic analysis is also provided for these markets with annual market analytics. The report profiles 96 companies including many key and niche players worldwide such as Advanced Elastomer Systems, A. Schulman, Inc, Arkema Inc, Bayer MaterialScience AG, British Vita Plc, VTC Elastoteknik AB, Chemtura Corporation, Denki Kagaku Kogyo Kabushiki Kaisha, Dexco Polymers LP, DSM Elastomers, DuPont Performance Elastomers, Dynasol, Freudenberg-NOK, GE Plastics, GLS Corporation, Kraton Polymers, Kuraray Co., Ltd, Lee Chang Yung Chemical Industry Corporation, Merquinsa, Multibase SA, Noveon Inc, Polimeri Europa, PTS Plastic Technologie Service GmbH, Polyone Corp, RTP Company, Solvay Engineered Polymers, Sumitomo Chemical Company Ltd, Teknor Apex, The Dow Chemical Company, Toyobo Co Ltd, Valerio Franceschetti Elastomeri SpA, and Zeon Chemicals. For information on site licence pricing please click on "Enquire before buying"